Four days later and it appears those “future opportunities” might include a return to Maranello. 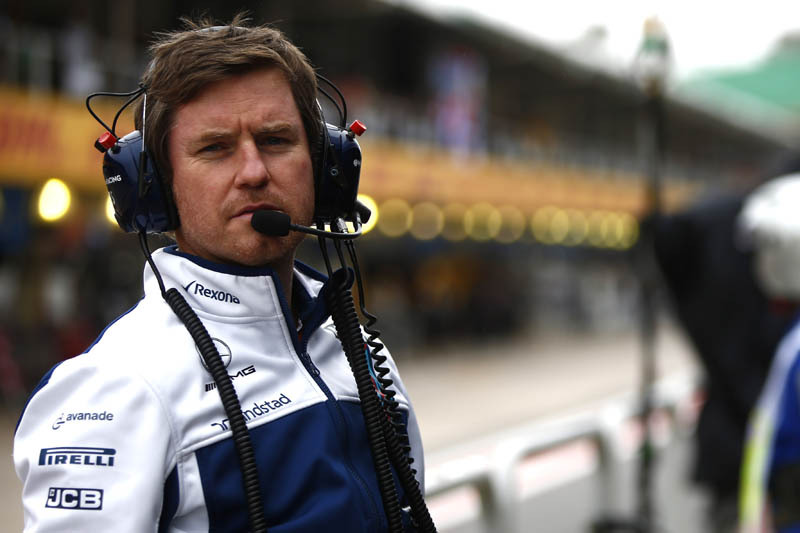 Following stints at Stewart GP and Jordan, in 2004 Smedley joined Ferrari as race engineer for its test team, the Mancunian having previously worked in BTCC and spent as number of years as Fernando Alonso‘s race engineer at the Benetton F3000 team. He left Ferrari for Williams in 2014, following Felipe Massa for whom he had been race engineer. Initially Senior Race Engineer at Grove, in 2015 he was promoted to the role of Head of Performance Engineering. “I’m going on holiday there in January if that helps,” he continued, referring to a break in Italy. “I would say at this moment in time I’m not closing off any options,” he added. “I’m in a really fortunate lucky position that people want to talk to me so I’m talking and, as I said, there’s absolutely no avenues closed off. Asked about the decision to leave Williams, he said: “I joined Williams at a time when they were evolving from having a torrid time of it let’s say – the new regulations in 2014 and the part that I was going to play in the journey was to take on the vehicle science, the vehicle performance side of it, the race operations and to try to help out in that area and I think that if you look back at 2012, 2013 and from that point on, from 2014, with the huge effort that all of the guys that work in that department, we have been able to grow it, we’ve been able to improve it, and hopefully I leave it in better shape than it was. It’s a good group now, they’ve got good knowledge, good methodologies, we brought a lot of science into the way we use tyres, into the way we use the car in general, so that the team can go ahead and pretty much exploit any car that’s given to them, the race operations itself, the way the mechanics work. “Hopefully it is in better shape than it was,” he added. “It’s kind of time for a new challenge for me now, I think. Williams has got its own challenge in front it to come from where it is at the minute. I’m going to go away and take another challenge somewhere else. I’m going to spend some time at home – that’s first and foremost the thing I’m going to do. I’m going to spend some time with my family who have supported me for a long time. I’ve got to do that. I have no choice in that. But I’m very, very grateful that I can do that and spend some time being a normal husband, a normal dad and not going away every two weeks and not working until 9 or 10 in the office every night, so I’ll enjoy that to begin with and then we’ll go from there. Of course, with Lawrence Stroll splashing the cash, the Briton might want to follow Lance Stroll to Racing Point Force India, which, if nothing else, would mean he’d be closer to home than were he to move to Maranello. Certainly, the Briton won’t be following Massa to Formula E.
Vehicle Traveller Smedley back to Ferrari?